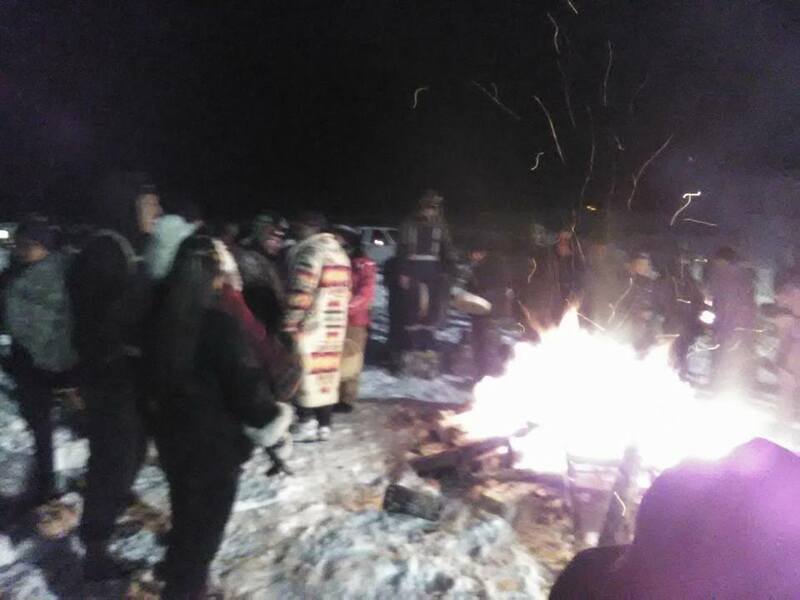 It was time to celebrate 2017 on this New Year’s weekend at Standing Rock. 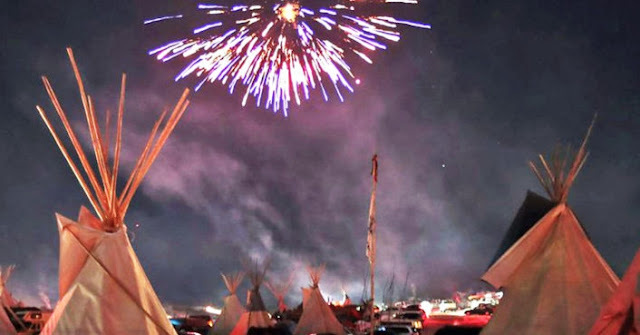 With temperatures in the teens on New Year’s Eve, the water built a huge bonfire under the hill that was illuminated by the lights that burn every night courtesy of the construction company building the Dakota Access pipeline. “Happy New Year from Turtle Island. It’s a happy new year here. Boy, I love it here with all these great people,” said Lee Sprague (Pottawaomi/Ottawa), who has been at Standing Rock since the first week of November. Sprague, who is the former tribal ogema (chair) of the Little River Band of Ottawa Indians, based in Manistee, Michigan. "We don't have another planet earth to go to. This is our only home, and we should do everything in our power to take care of it." Water Protectors told old prophecies that are being interpreted as a call to reverse environmental degradation, said "one prophecy is that all the nations would come together, the loop would come together. Because we realize that we're all connected ... It's for everybody." "As native people, "We're guardians and protectors of the earth. We're stewards of that. We feel strongly that needs to be protected." they said. Responses to "Standing Rock Water Protectors Celebrate 2017 In Solidarity"